In Today’s world every company is migrating to the virtualization. Virtualization helps in many ways for companies to save the cost of the infra on the servers. Virtual servers are so called virtual machines very easy to deploy & manage. It just require few minutes to deploy the new virtual machine. Virtual machine are more beneficial as compared to physical server because you can deploy multiple virtual machine on one physical server. virtual machine also requires the powerful backup solution in place for the system crash, fault or any disaster event. 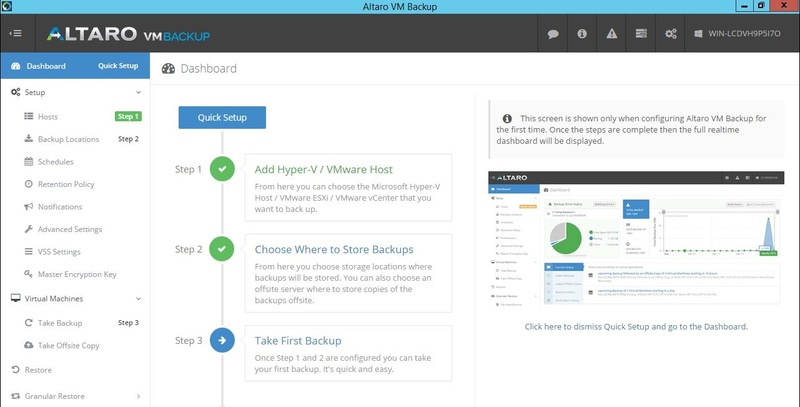 Altaro VM Backup purely works on the virtual machine Backup & Replication. It works on both the top virtualization technologies are VMware & Hyper-v. It provides complete backup & replication solution for the VMware & Hyper-V Servers. Altaro VM Backup is built specifically for the small & mid-market business who wants the complete solution for their virtual machines. Altaro VM Backup does not require long time to deploy you can deploy & setup your complete backup solution within few minutes. It provides the very simple & easy to use deployment mechanism. So anyone who doesn’t have deep knowledge can also deploy & setup backup solution within minutes. we will provide the installation & configuration steps in our upcoming posts. Compression & Encryption for security of the VM Backups. Altaro VM Backup with Augmented Inline Deduplication drastically reduces your storage requirements for your backup repository. 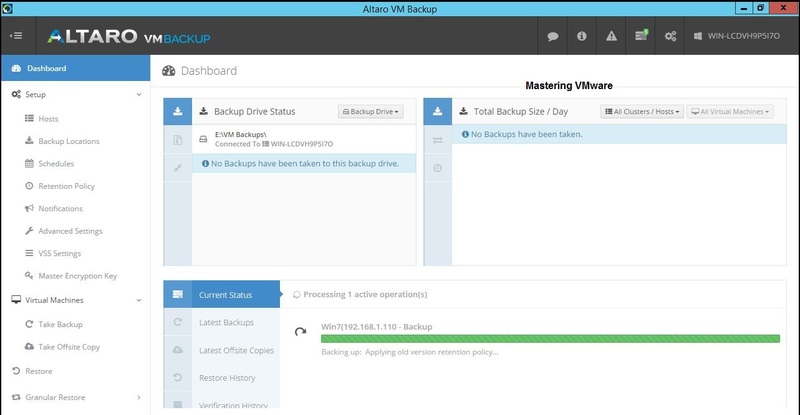 Altaro VM Backup with Augmented Inline deduplication improves backup and restore speed. It’s the best deduplication in the industry, creating the smallest backup size. Augmented Inline deduplication runs across all backup jobs, no need to group VMs together (no use of post processing). We have tested the feature in our LAB & found that it helps to save more storage space from backups. As you can see from below screenshot that VM backup data was around 7.99GB but after completed Backup it helped in saving the 60% of the data from original size. Altaro VM Backup provides the simple & intuitive dashboard which helps in managing the solution. Dashboard provides all the details with graphical representation about the tasks performed & currently going on. Single Management console helps in configuring & managing all the backup & restore jobs of the virtual machines. you can manage VMware & Hyper-V both the from one management console. 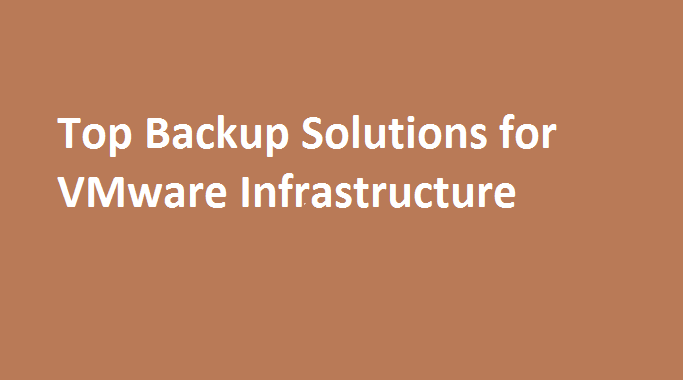 Altaro VM Backup gives simple & efficient ways for taking backup & managing the backup. you can schedule the backups. you can also specify the retention policies for individual vm’s. It helps in saving storage by compression methods. Backups are securely encrypted. 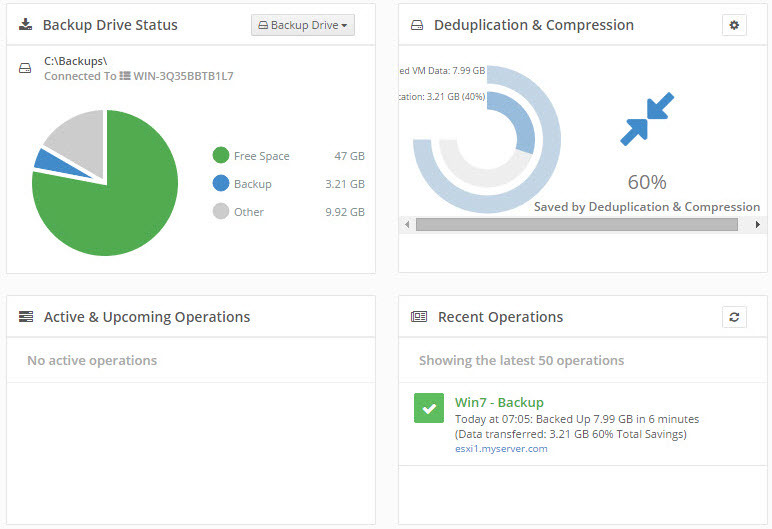 Altaro’s unique augmented inline deduplication technology helps in reducing the backup size which helps in saving the cost of the storage. You can instantly boot the vm from the backup location without full restore. It provides the more granular restore options which helps in restoring the Individual files or emails. you can also restore backup from multiple points in time according to your requirement. In case of any vm failures you can instantly boot any vm from Backup without affecting backup integrity. 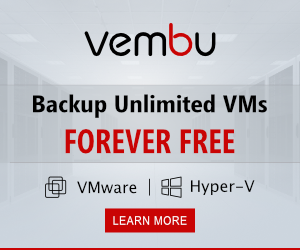 Booting VM from backup without full restore helps users to directly access vm without much downtime. In the background VM will be restored on the hypervisor with the changed made to vm. We found Altaro VM Backup is an cost-effective solution which is very fast to deploy & complete backup solution for virtual machines. Celebrate World Backup Every Day with Altaro and WIN the CONTEST! How to backup vm using Altaro VM Backup ?